In this essay, I examine the circumstances (albeit briefly and by way of context only), which widened the fracture of 1445 into the schism of 1455. I also develop my ideas about York’s motivation, and the constitutional, political and legal issues arising. Obviously, I cannot cover every point, so I have structured this piece around four major factors, which I believe influenced York’s attitude: his personal grievances, the Cade rebellion and its aftermath, the Dartford incident of 1452 and the first protectorship. In 1440 York’s financial position was sound; by 1445, it was dire. His debts were so crushing that he could not make ends meet without selling his property and borrowing money. This was primarily due to the government incompetence. He was owed £38,667 in unpaid grants for years four and five of his appointment in Normandy. It was an enormous sum then, and a far from trifling amount today. Consequently, he borrowed money at interest to pay the wages of his troops and civil servants in Normandy. The government’s parsimony was such that he was forced to write-off about a third of the debt for the promise of prompt payment of the balance, which never materialised. Any bitterness that York may have felt would be understandable on this point alone. However, things were to get worse for him. In 1446, he was accused of peculating public funds while in Normandy. We can infer from the petition he presented to the king that he was irritated. In it, he complained of the “scandalous language” used about him and begged leave to defend himself before Parliament[i]. Ultimately he was vindicated, but the accusation left a sour taste and the suspicion that it was a deliberate attempt to discredit him, by William de la Pole, duke of Suffolk. More disturbing from York’s perspective were the promotions of John Beaufort from earl to duke of Somerset (1443), Thomas Holland to duke of Exeter (1444) and Humphrey Stafford to duke of Buckingham (1444). Both Beaufort and Holland were of royal descent from John of Gaunt and closer in blood to the king than York. It was such an obvious threat to his position in the line of succession that he would have been super-human not to be worried. It’s true that there were legal and constitutional impediments to each of these men succeeding to the throne, but what one king can proscribe another can prescribe. York was a proud man, conscious of his own title to the crown. It is probable that he saw this as a direct challenge to the Yorkist right of succession should the king die without issue. The Jack Cade rebellion 1450: aftermath. The catalyst for York’s involvement in English politics was the government’s continuing inability to maintain law and order. By the time he arrived from Ireland (where he was sent for ten years as Lieutenant General in 1447), both the nature of the debate and the environment in which it flourished had been decided. The notion that things are so bad that ‘someone must do something’ is a dangerous one; it breeds desperation, leading to mistakes. Nonetheless, it was the realisation that something had to be done that bought the duke back. The big question is whether this was a blatantly opportunistic attempt by York for popular support or the dutiful response of the senior royal duke and heir presumptive to a situation going from bad to worse. Despite his dynastic importance, York did not hold a formal constitutional position within the realm. He was not a member of the king’s inner circle of advisors, nor did he have a natural line of communication to the king. He was also facing the constitutional doctrine, then current, that whilst the king has an obligation to rule in the common interest of all his subjects, the royal authority to do that was vested personally and absolutely in the king. If the king was competent, there was no conflict of interest between these principles. Such a king took advice, made prudent decisions, and gave just and lawful judgements. However, if the king was incompetent there could be difficulties. No matter how bad he was or how flagrant his misrule, it could not be corrected without accroaching his royal authority. Constitutionally, the king’s position as head of state was impregnable without committing treason. This tricky situation was actually even more complex than it first seemed, since the competence of the king was not being questioned. What Cade and York were challenging was the improper influence of the king’s advisors on the application of royal authority. It is difficult to regard this as anything other than a tactic intended to prevent the imputation of treason against them. In York’s case he embellished his complaints with the inference that the king was the innocent victim of evil councillors. It was a situation from which York — the king’s true and loyal subject — would recue him; thus, allowing him to rule properly as was always his intention. The problem is that this simplistic approach flies in the face of the evidence and raises the much profounder question of the king’s fitness to rule. It is questionable whether the king’s failure to exercise royal authority was a symptom of the improper influence of his advisors, or the cause of that impropriety. The king’s piety appeared to be more suited to a monastery than the monarchy. His ‘innocence’, his failure to assert his royal authority and his indifference to governing the realm all called into to question his fitness to rule. However, that was a question that nobody — least of all York — was prepared to consider at this stage. Aware of the public nature of this debate, York also put his complaints in writing to the king[iv]. First and foremost, he wanted royal acknowledgement of his loyalty. This was the foundation of his subsequent attacks on the traitors who advised the king. The king’s reply was a clever and timely assertion of royal authority. He reminded everyone of his duty to take representative advice: “We have determined in our own soul to establish a sad and substantial council, giving them more authority and power than ever we did before this, in which we have appointed you (that is York) to be one” [v]. He also made it clear that he did not need a protectionist Yorkist regime. He and his council could manage quite well by themselves. It was a devastatingly effective response, which gave the impression of a vigorous king exercising his royal authority. Any further complaints by York would be seen as the traitorous outpourings of a troublemaker. Nothing daunted, York changed track. He wrote another private bill to the king and his councillors. Basically, it was a repetition of his earlier missive and was intended to persuade the king’s Councillors of the need to take action against ‘low borne’ advisors who were having an improper influence over the king. York’s appeal was in vain; he failed to gain support. The reason is obvious, the men he was complaining about still exercised power and influence at the centre of government. Anyway, everyone thought the government was in the capable hands of a forceful, competent king. York’s position was now impossible. By accepting the authority of the king and his council he had lost his right to complain. He must bow to their will or face being dealt with as a traitor. The hostility between York and Somerset, which had been an undercurrent in English politics from the late 1440’s, became dominant in 1451. Their mutual dislike had matured into a personal and intense hatred. Most worrying from York’s perspective was that whilst his power and influence waned that of Somerset waxed. He was, however the author of his own misfortune to some extent. A clumsy and ill-judged petition by the commons in Parliament to have York formally adopted as Henry’s heir was particularly damaging. Thomas Young, one of York’s own councillors, was the sponsor of this petition but it is inconceivable that the duke himself did not encourage him. The petition was ill-judged because at that time the succession was a particularly sensitive and complicated issue for the king. York was the only legitimate heir to Henry. Although Somerset and Exeter were closer in blood to the king, there were impediments to their succession. York’s concern seems to have been that these impediments could easily be removed should the king so wish. Henry, on the other hand, was already worried by York’s popularity and he certainly didn’t want him as his chief advisor; neither, did he want to encourage any notion that there had been a constitutional settlement on York. By challenging the king to make his attitude public York invited a rebuff, which he duly got. Henry rejected the petition, arrested Young and dissolved Parliament. York had only succeeded in getting himself excluded from the council chamber. His acceptance of the government’s legitimacy made him a hostage to fortune if the king and the council were obdurate: which they were. It was his unwillingness to step outside his self-publicised image as the king’s loyal subject that prevented him from reaping the full advantage of his popular support. Violent disturbances continued throughout the year, together with real or imagined conspiracies against the king. There was and is a suspicion that York was behind these plots, for which the evidence is ambiguous to say the least. However, it is unlikely that York condoned efforts by his supporters to remove the king. He wanted to rescue the king from the clutches of his evil advisors, not replace him. It was a dispute in Somerset that most inflamed the situation. 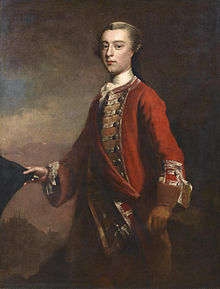 The on-going quarrel between the duke of Devon, the Lords Moleyn and Cobham, and the earl of Wiltshire and Lord Bonville had reverted to open warfare. 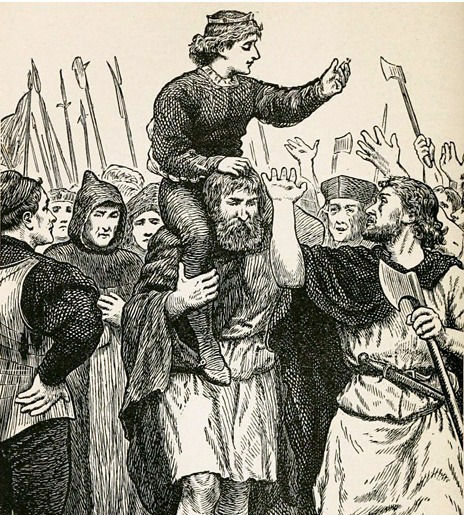 Richard rode at the head of two thousand men to quell the violence and prevent further bloodshed. It is possible that he simply could not resist the opportunity to ‘beard’ Somerset in his own county. The king outraged at such a blatant breach of the peace summoned all those involved, including York, to appear before him. York and Devon ignored the king’s summons. The king was not impressed and he arrested one of York’s servants on a trumped-up charge of plotting to kill him. He also made known his displeasure with York. This had potentially serious consequences for York, his family and the realm, which could not be ignored. Early in 1452 York devised a two-pronged strategy for getting rid of Somerset once and for all. First, he made an unequivocal public oath of his loyalty to the king. This was a necessary pre-requisite to direct action. Second he wrote to the City of Shrewsbury (copying it widely in Kent and the South East), declaring his intention to get rid of Somerset’s influence forever for plotting ”…my undoing and to corrupt my blood, and to disinherit me and my heirs…”[vi]. He began to assemble his retainers near Northampton. When challenged by the king, York denied it was an insurrection. He said he was only targeting ‘traitors’. The king’s mobilisation arrangements appear to have been more efficient than York’s. He commanded the loyalty of the great barons and lords whose combined forces were larger than York’s and better placed to intervene. York tried to seize the initiative by moving directly on London. However, the probability that the Londoners would to resist him forced York to cross the Thames at Kingston. He moved into Kent, where he soon came face to face with the king’s army near Dartford. He was outmanoeuvred and overmatched. The chronicles vary about what happened next. However, the upshot was that negotiations commenced between York and the royalists. York was allowed to present his grievances against Somerset, which the king received. Following this and in good faith, York dispersed his force before going to the king’s tent. There he found Somerset free at the king’s side, arrogant and aggressive. It was a trap! York was taken to London virtually under close arrest, with no hope of saving face. Even his life was at stake. In London, he was forced to eat humble pie by swearing an oath of loyalty and obedience to the king. He had little choice but to conform since it preserved the fiction that his actions did not amount to insurrection. In return, the king agreed to an arbitration of the quarrel between York and Somerset and a general pardon for York’s followers. It seems obvious with hindsight that York lacked the political acumen to realise the weakness of his position. He did not have the broad support of the Lords. Suffolk’s death had removed their obvious cause of discontent and they did not yet blame Somerset for the misgovernment at home . Somerset’s position was now seemed unassailable. An English recovery in France, the death of the earl of Douglas, which secured the English border, with Scotland and the queen’s pregnancy, had steadied the country. Even Talbot’s death at the battle of Castillon did not result in calls for York. He was too isolated now to pose a threat to the duke of Somerset. Any euphoria that Somerset may have felt about his defeat of York was short-lived. The king was ill. We know nothing about the illness except that it caused mental incapacity, and it was kept a secret until after the birth of king’s heir on the 18 October 1453. Just prior to the birth, a Great Council meeting was called, from which York was excluded. Nevertheless, with Somerset away on business, a group of peers decided to send for duke Richard. It was the king’s men who sent for York and their decision was a non-partial one made on the grounds of his legitimate right to be involved in the discussion about the governance of the realm. It seems that their hope was that York and Somerset would be able to work together and with the Great Council in the public interest: some hope! York arrived in London post haste accompanied by the duke of Norfolk. Somerset was still absent. Norfolk surprised everyone by demanding the impeachment of Somerset for treason. York added to the pressure on the Great Council by demanding the release of his chamberlain Sir William Oldhall who had been arrested for plotting the king’s downfall. The absence Somerset and many members of his affinity made those present unwilling to do more than rubber stamp the essential business of government. They agreed to suppress the widespread lawlessness whilst keeping the crown’s routine business ticking over. This allowed the case against Somerset to be fudged, which was no good to York. Any delay allowed Somerset to re-join the fray. Cardinal John Kemp, the Chancellor and an experienced civil servant was the main obstacle to Yorks more ambitious agenda for the council. On the 29 January 1454 the queen presented her own parliamentary bill seeking full regency powers and financial provision for the king and herself, and for Prince Edward. It is almost certain that she saw York as a dynastic threat to her husband’s throne and her son’s inheritance. The implication that the Lancastrian dynasty itself was threatened changed the whole situation. These were tense times. The death of John Kemp on the 22 March 1454 gave York his opportunity. A medical report was presented to Parliament, which confirmed the king’s continuing incapacity. It forced the Lords to consider a regency government in the interim. Without Kemp or Somerset to stop it, York’s appointment as Lord Protector was agreed. York was, I believe, only posing as the reluctant, humble Protector. In reality he was probably well pleased to be in the perfect position to crush Somerset and introduce good government. However, his powers were constrained by Parliament, who reserved to themselves the right to be final arbiters of what or was not in the public interest, and to sack him. They also prescribed his role as Chief Councillor; his was a purely personal appointment with special responsibility to the defence of the realm from enemies and rebels. His inability to get to grips with the Somerset issue was worrying, but there was no doubt that could turn the tables on him in time. But time was something he did not have. By the end of 1454, the king had recovered his wits sufficiently to resume royal authority. The protectorship was over. Within a month, York had resigned his post; three months later Somerset was released and then acquitted. On the same day, York was sacked as Captain of Calais. The speed with which York was relegated and Somerset rehabilitated was astonishing. It was a sign to York (if he needed it) that his dispute with Somerset was mortal, which could only end when one had annihilated the other. Somerset was well aware that his power over the king was transient. He took steps in April 1455 to make permanent arrangements for a regency government should Henry’s mental capacity relapse. A meeting of the Great Council was arranged from which York and the Neville’s were excluded. The situation now for the Yorkists was dire; if Somerset succeeded in his plan, there was no way back for them. In the absence of an effective royal authority that could impose a compromise on the estranged dukes a military solution was inevitable. Both sides could see this and began preparing for it. After some manoeuvring, the two sides faced each other across a ditch at St Albans on the 22 May 1455. The tragedy of St Albans is that nobody really wanted a battle. However, neither York nor Somerset could submit to a compromise; for them this was a death struggle. Tragically, in the face of such obduracy Henry lacked either the moral courage or the strength to ‘bang the two dukes’ heads together’. He sent Buckingham to negotiate but it was hopeless. York wrote to the king and the Chancellor but it made no difference. The Yorkists outnumbered the royal army and were drawn up in three divisions commanded by York, Salisbury and Warwick respectively. York and Salisbury were positioned opposite the ditch and palisade protecting the Holywell- St Peter’s Street entrance to the town. Warwick’s division was deployed in the meadow between them. On York’s signal the Yorkists attacked the palisade. The fighting was fierce and the fixed defences and relatively narrow frontage prevented Yorkists from deploying their full power. However, they pressed the defenders so hard that they drew in Lancastrian reserves from other parts of the perimeter. Warwick, who was uncommitted, saw an opportunity to attack a less well-defended part of the perimeter. On his own initiative and using classic fire and manoeuvre tactics he led his division on a flanking attack, which succeeded in breaking into the town: thereafter it was a slaughter. The defenders in St Peter’s Street were taken in the rear and soon swamped by the combined weight of the Yorkist army. Fighting in a built up area is brutal in any age and first St Albans was no different; however, it was relatively short, lasting from about 10am until the ‘early afternoon’. When it was over, Northumberland and Clifford lay dead in the Market Place. Buckingham was wounded but escaped; Wiltshire was unwounded but fled. The king, grazed by an arrow, stood under the Royal Standard where his men had abandoned him. Somerset was hunted down and cornered. He fought with the courage of despair, taking four Yorkists with him before being hacked to pieces by the remainder. Having re-established the discipline of his troops, York was soon at the king’s side, anxious to get him to safety and to see his wound tended[vii]. As he looked down upon Somerset’s naked, bloodied and (doubtless) mutilated body, York may have savoured his moment of victory. If so, it was a fleeting moment. The battle had not settled York’s dispute with the Lancastrian regime; it had made it worse. [i] P A Johnson: duke Richard of York (Oxford 1991 edition) at page 52. Johnson quotes directly from York’s petition. See also [i] British Library MS Add 48031A ff122-123v/ ‘Articles of the duke of York refuting allegations made by Bishop Moleyns, with the bishop’s replies 1446’, which is helpfully reproduced in Politics of fifteenth century England – ‘John Vale’s Book’ (Margaret Lucille Kekewich and others (Eds) – Alan Sutton Publishing 1995) at page 180. [iv] Just how many ‘bills’ York wrote and there sequence is unclear. It used to be thought there were two; however, Johnson at pages 104 and 104 argues that there were four, and Anne Sutton and Livia Visser-Fuchs in ‘John Vales Book’ at page 186 make a case for five; however they are not all extant. Three bills, together with two of the king’s replies can be found at pages 189-193 of John Vales book. Stow’s annals contain different versions of the bills.